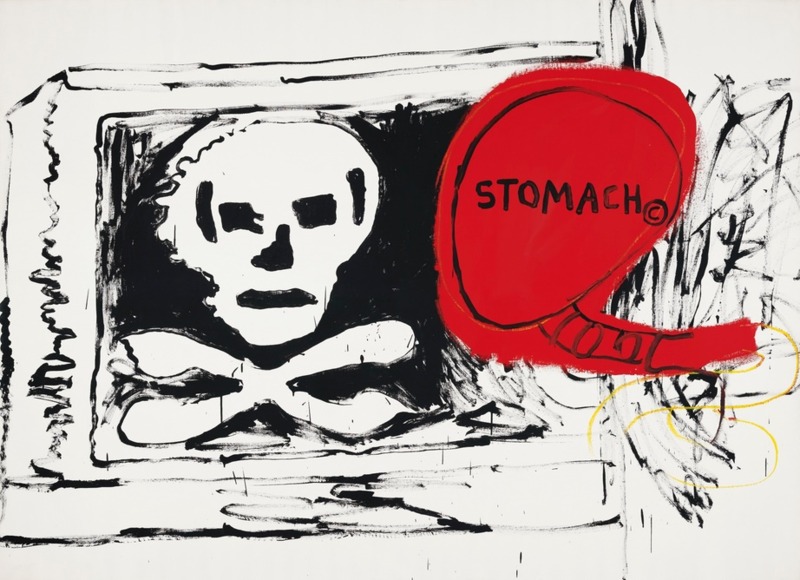 An art work by Andy Warhol and Jean-Michel Basquiat will be offered at Sotheby’s Paris next month, from the personal art collection of Elton John. ‘Untitled, 1984-1985’ is one of the finest examples of the collaboration between two 20th century geniuses. Basquiat originally approached his idol Warhol in a cafe in 1980, and the pair produced numerous works together until Warhol’s sudden death in 1987. 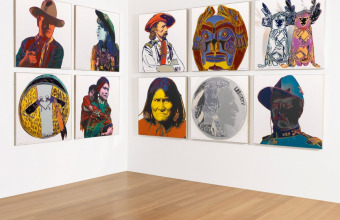 The work offered at Sotheby’s is a monumental 9ft canvas, created using both silkscreen printing and oil paints, and has spent decades in John’s collection. Elton John is known to own one of the world’s largest private collections of 20th century photography, but the singer and his husband David Furnish have remained relatively secretive about their art collection. 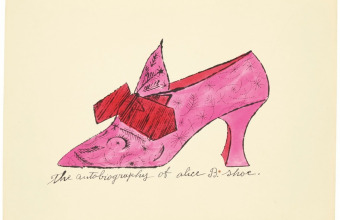 It is believed to feature major pieces by the likes of Willem de Kooning, Louise Bourgeois, Gilbert & George, Damien Hirst and Keith Haring, along with works by Warhol, whom Elton John met several times during the 1970s and 80s at venues such as the legendary New York night club Studio 54. 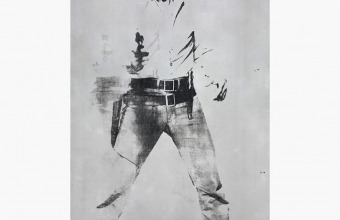 John even recalled a close encounter with the artist in a 2013 interview with Rolling Stone magazine, in which he and John Lennon hid from Warhol in a hotel room whilst in the midst of a cocaine binge. "I can remember being stoned out of our mind on coke at the Sherry-Netherland hotel, and at two in the morning, there would be a knock on the door," said John. "It took me five minutes to get to get the door because I was so paranoid, but it was Andy f—— Warhol. "I said, ‘It’s Andy Warhol,’ and he (Lennon) said, ‘Don’t f—— let him in! He’ll have a camera and everything!’ So we just waited for him to leave." He may not have been a fan of Warhol’s photography, but John certainly appreciates his paintings, and acquired the untitled work directly from art dealer Larry Gagosian. Now offered at auction for the very first time, the huge painting is expected to sell for $791,950-$1.13 million. The sale of contemporary art takes place at Sotheby’s Paris on June 7.